Big Red members can claim a free Elections cocktail at the show and get entry into the ROFL raffle. You can purchase a Big Red membership from the Box Office for £4, which lasts three years and entitles you to a different deal at every Laughter Lounge show. 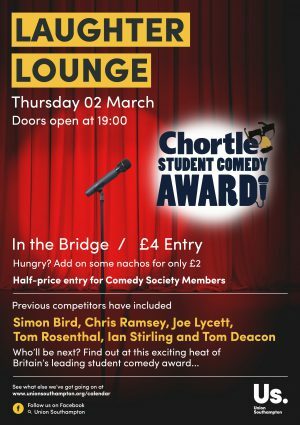 Also, don’t forget that we also offer half-price entry for all Comedy Society members.